As a business owner, you are a writer. You’re a content creator. In the emails that you send, the notes that you scribble, and the conversations that you have, you’re writing the story for your business and telling people why they should care about you. When it comes to your website, content (words, images, videos, etc.) is what communicates your message. Your job is to make sure that your content tells your business’s story in a way that’s compelling to your customers. Even if you don’t write a single word of your website copy yourself, these best practices can help you guide your copywriter or website developer, and identify ways to improve your web content. Regardless of whether it’s trying to educate, entertain, or convince people to buy from you, your website’s job is to communicate with your ideal customer. Before you or anyone else can write effective web content, you must understand who your customer is. Remember that you’re trying to reach real people. Who are they, and what do they care about? What are their pain points, and how can you help solve them? A deep understanding of your customer and what motivates them will help you craft a compelling message. Consider investing the time to develop buyer personas to truly understand what your ideal customers need and want. Ever land on a web page and feel like all that business wants to talk about is how great they are? Not only is this a dead giveaway your website needs copywriting help, it’s also a surefire way to frustrate potential customers. The truth is: no one cares about how great you think your products and services are. They care about how you can solve their problems. When it comes to any kind of marketing writing, remember that it’s not about you, it’s about them (which is why it’s so important to understand your customer). Put yourself in your customer’s shoes, and ask, “Why should I care?” Answering that question will make them feel like you understand their needs. 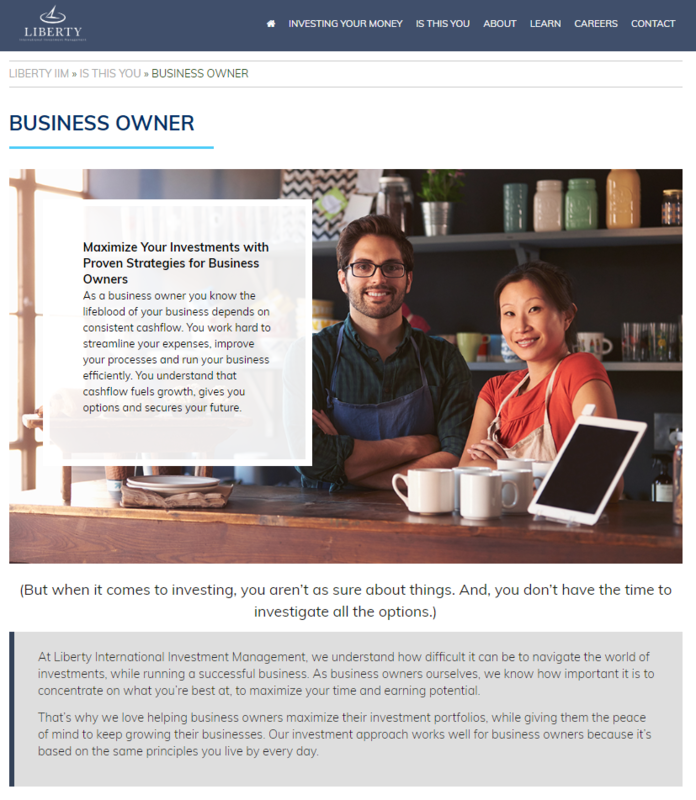 Here’s an example of an investment firm that clearly understands their customers and writes to solve problems. They have a whole section dedicated to “Is This You?” to directly address their different target customers. Notice they don’t talk about themselves first. Instead, they talk about what it’s like to be a business owner and their major pain points (like not having enough time to learn about investing options). Only then do they introduce how their investment firm can help. The vast majority of people use search engines to find solutions to their problems online. So a big part of writing for the web is finding out what your customers are searching for and optimizing your content accordingly. That’s where keyword research comes in. Keyword research shows you which topics are relevant to your customers and to search engines. And while it is an important part of search engine optimization, keyword research is about more than just getting better rankings. It helps you understand the intent behind a person’s search, so you can provide exactly what they’re looking for when they reach your site. Choosing the right keywords can help you stand out from your competitors, appeal to your ideal audience, and draw more quality traffic to your website. Keyword research should be the foundation of your website content. Your website copywriter should do this before they start writing, so the content answers your customers’ questions and includes keywords naturally. If you want to convince potential customers to buy your product or service, focus on benefits, not features. Features tell them what a product is. Benefits tell them what it means to them. Too often, businesses get wrapped up in the technical details of their product and forget to tell customers why it matters. Which is more compelling? That your spinach is full of vitamins and minerals, or that it can help you lift 500 lbs over your head and save Olive Oyl? Keep your web copy focused on the benefits, because that’s what sells. One of the reasons why benefits sell better than features is that they appeal to our emotions. Numerous studies have shown that customers are more trusting and more likely to buy if they have an emotional connection with your company. Whether it’s happiness, sadness, fear, or even anger, encourage your website visitors to feel something. One of the best ways to do this is to tell a story. You may be tempted to roll your eyes at the idea of businesses being “storytellers,” but the human brain loves stories. Stories naturally have tension and conflict that appeals to our emotions, and they keep us wondering what will happen next. Here’s a natural health clinic that tells a story about living your best life. They open with “what would it be like if…” encouraging their visitors to feel curious and hopeful about the future but frustrated with their current condition. They’re evoking emotion to help sell their solution. As a business owner, you don’t want to create content for the sake of content. You want your web content to generate results for your business. That’s why every piece of content should include a compelling call to action (CTA) that tells your visitor what to do next. Strong calls to action might include links to download a free guide, schedule a demo, or claim a special offer. Whatever moves your prospects one step closer to becoming customers. 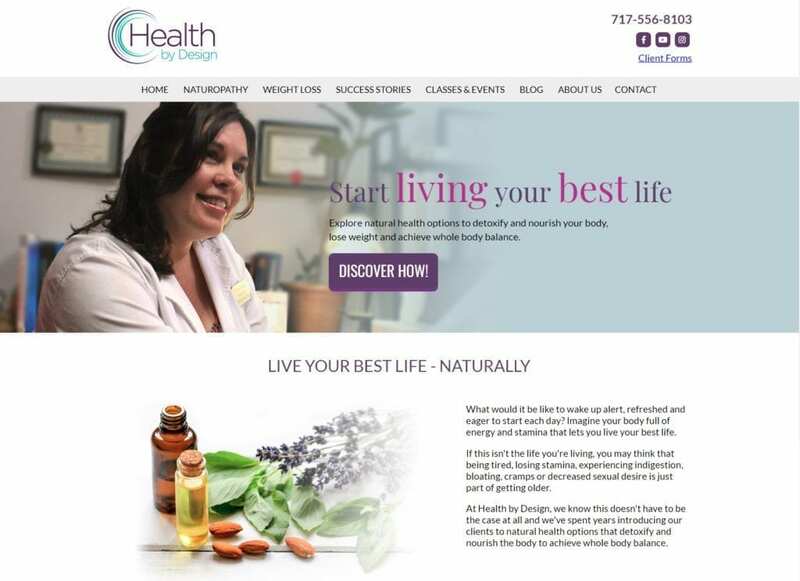 Check that your CTAs use active language, and make the benefits of clicking very clear, like this example from a Lancaster, PA business consulting company. The benefit is clear: you can find out if your business is healthy. It encourages immediate action in return for an instant score. People have short attention spans. Whether or not they’re shorter than a goldfish’s is hotly debated, but the point is: your website content needs to capture and focus your customers’ fleeting attention. Website copywriters sometimes get so excited about their products and services that they try to talk about too many things at once. The result becomes a jumbled mess that makes it hard for your prospect to focus. Take this example from a small construction company. The copy on their About page is convoluted because it tries to talk about all their services at once. Instead, focus on one big idea at a time. Each page on your website should cover a single topic. Within that page, make sure there are separate headings and paragraphs to separate your thoughts. Is your website copy effective? We don’t read; we scan. According to a study from Nielsen, only 16 percent of people read web copy word-for word. When writing for the web, make sure your copy is scannable, so people get the gist of your message even if they don’t read everything. 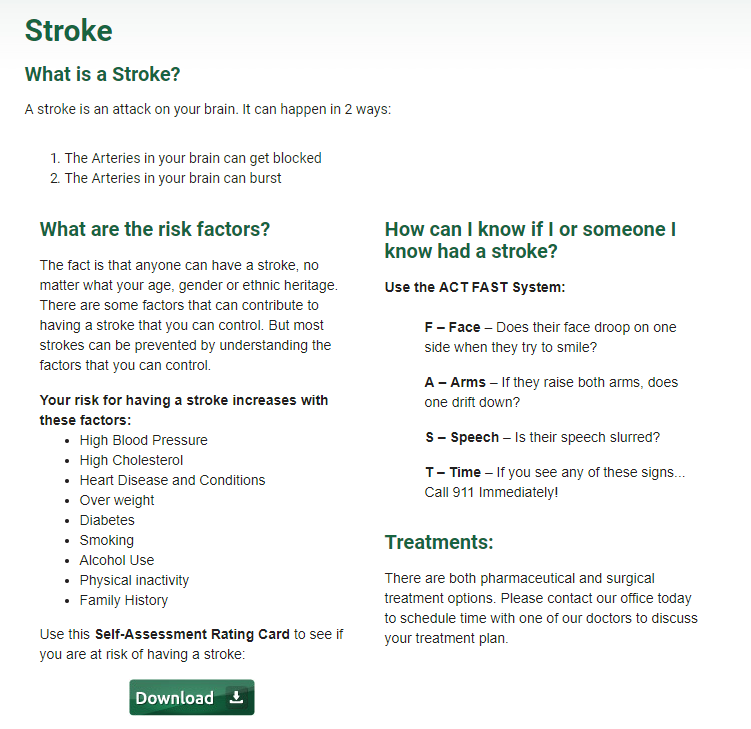 Here’s a sample from a medical practice in Lancaster, PA that uses concise headlines, bulleted lists, and bolding to make it easy for their patients to learn about strokes. Look for ways to keep sentences short and cut the fluff. Website copy should be clear and concise. It’s not the time to write a book. Next, use plain language. Don’t say, “we address automotive anomalies;” say, “we fix cars.” While this may feel like “dumbing down” your writing, most people (even experts) prefer reading plain English. So don’t choose a $10 word when a 10 cent word will do the trick. Finally, use active voice – “Transform your kitchen with new cabinets,” not “Your kitchen will be transformed by new cabinets.” Not only does the first sentence sound more exciting, it also spurs your reader to action, which is one of the main purposes of your copy. Take a look at the difference between these two roofing companies covering the same topic: spray foam roofing. The first one talks about “thermal and moisture control” and “a seamless monolithic application,” leaving most of us to wonder what in the world they’re talking about. 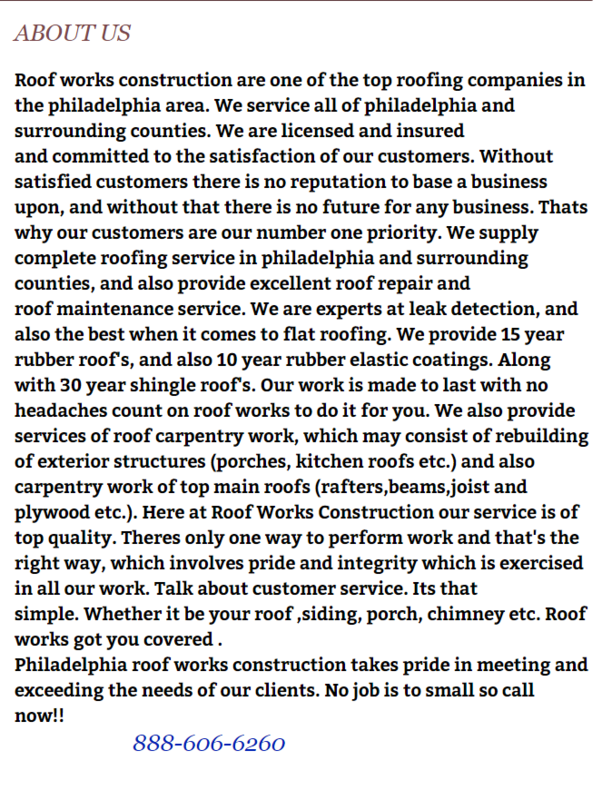 Meanwhile, the second roofing company uses plain language like “100% leak-proof” and “reduces your heating and cooling bills.” Not only is this easier to understand, but the short sentences and scannable formatting also make it quicker to read. Your website content should sound like you and your business. So unless you’re a doctoral professor talking to other academics, your website probably shouldn’t sound like a thesis paper. In most cases, your copy should stay conversational, because that’s how we talk. Make sure your copy sounds like you’re having a dialogue with the reader. Also, avoid industry jargon whenever possible. Sometimes it’s necessary to include technical terms for accuracy or SEO purposes, but – as we mentioned before – most people prefer plain language. Remember that website content isn’t just about text – content includes images, videos, and other forms of media too. 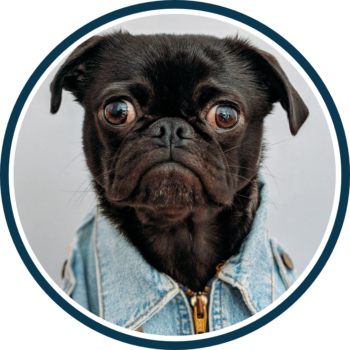 Visual content is often the first thing your visitors will look at on a page (What did you do first – read this paragraph or look at that funny dog?). So make sure your website uses high quality, impactful images that help tell your story. The brain processes images much faster than text, so visuals are also a great way to help people scan and understand your message quickly. They can also help break up long blocks of text that would otherwise deter readers. Along the same lines, use visuals to convey information, especially data or technical knowledge that’s hard to write in text. 65% of people are visual learners, so images are often a more effective way to educate your customers and potential customers. Use elements like photos, screenshots, and infographics to visualize data and enhance your message. You may want to consider investing in video content too, which is becoming an increasingly popular alternative to written content. Some copywriters only want to focus on the words on the page. If you’re working with an outside web development company, ask them to include photos, screenshots, or even infographics to visualize data and enhance your message. Medical information is almost always complicated and hard to explain. Here’s an example from CVCA, a veterinary practice who used an infographic to educate their clients about pet heart disease. Beautifully written content does you no good if no one can find it. That’s why Search Engine Optimization is such a huge part of website copywriting – to make sure your website shows up in search results. But even most good writers aren’t SEO experts too. Researching and writing copy that’s optimized for search engines requires a slightly different skill set. That’s one of the reasons why it’s so helpful to work with a web development company that can provide both copywriting and search engine optimization. As business owners, we have enough on our plates, and we can’t be experts in everything. While SEO is critical, it’s important not to get carried away and forget that your primary audience is people, not search engines. Sometimes businesses actually ruin their website content by stuffing it so full of keywords that they alienate their human readers. Keyword-stuffed web pages look untrustworthy and make visitors feel like you aren’t talking to them at all. Which means they will be quick to bounce off your page – a big red flag for Google. Bottom line: write great content that people love first. Then optimize it so search engines love it too. Behind every good writer is a great editor. Ideally, you should always have a skilled editor as a second set of eyes for your content, but even if it’s just you, invest the time to edit your work. First, editing helps avoid those silly spelling and grammar mistakes that make your writing (and your business) look unprofessional. There’s nothing more frustrating than an out-of-place “its” vs. “it’s” that slips past the spell-checker. But more importantly, when you’re trying to write web content that’s compelling, concise, scannable, action-oriented – and don’t forget SEO friendly – that’s way too many nuances for a simple spell checker. Of course, there are plenty of writing tools for content marketers that can help, but there’s no substitute for a good human editor.